This post is brought to you in partnership with Plaid Crafts. All opinions and ideas are my own. Flip flop weather has arrived! I love flip flops and wear them 3/4 of the year, but I despise spending a ton of money on flip flops. Don’t you? Forget spending your pretty pennies on fancy flip flops. 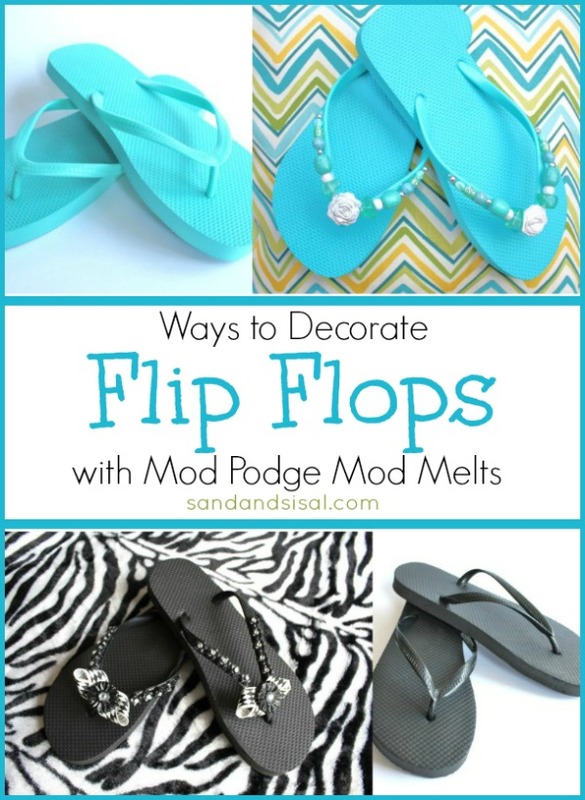 I’ve found a fun (and addictive) way to decorate flip flops with Mod Podge Mod Melts. If you love your hot glue gun then this is THE Crafty Summer Project for you! My girls (14 & 17) & I had a blast making them. 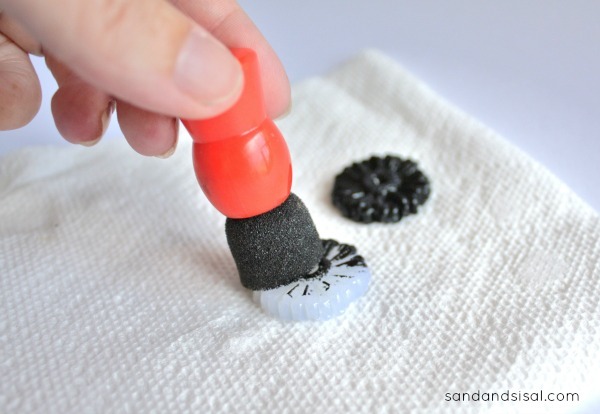 Step 2) Remove shapes from the mold and paint with acrylic craft paint, using the sponge dabber that comes with the mold and allow to dry. Step 3) Coat with high gloss Mod Podge if desired for extra shine and protection. Step 4) Embellish mold shapes with rhinestones. Secure with hot glue or E-6000 glue. 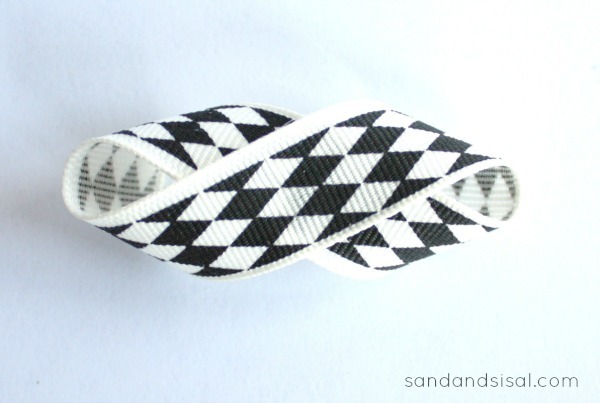 Step 5) Make a figure eight out of a piece of ribbon. Secure the ends together with hot glue. Step 6) Apply E-6000 glue to the straps of your flip flops and secure your Mod Podge Mod Melts and embellishments to the straps. 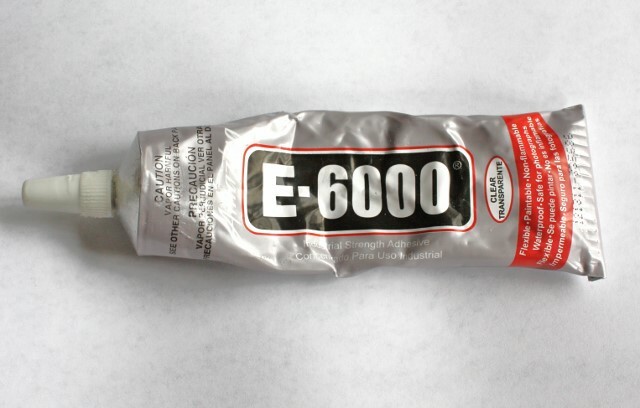 E-6000 is the only glue that is flexible and strong enough to use for flip flops. It is industrial strength, so please follow manufacturer’s instructions, which recommend at least 24 hours drying time. Follow steps 1-4 as listed above. 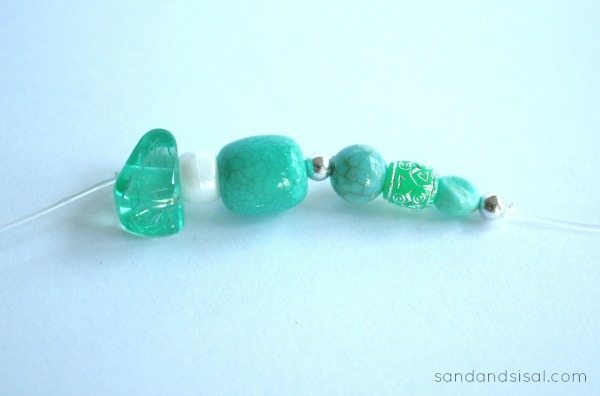 String a variety of beads onto stretchable cording and tie at each end and trim cord. Glue onto flip flop straps with E-6000 glue. Glue on the Mod Podge Mod Melts and voila! 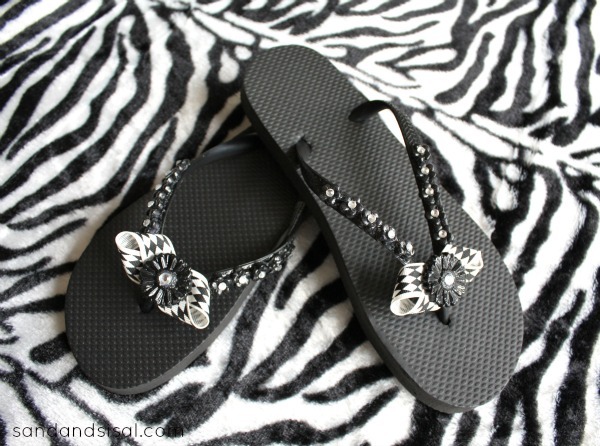 Gorgeous, fun and festive flip flops! The possibilities are endless. Let your imagination go wild, save money and look fabulous! 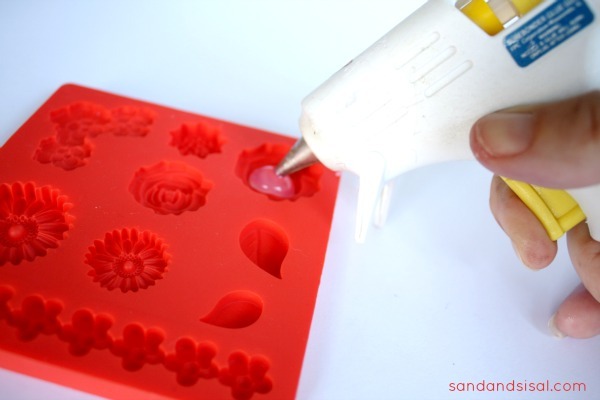 And click on any of these awesome Mod Melt tutorials created by my crafty friends! Very cute 🙂 I have a few pairs of flips flops I could do this with! How cute!! What a great idea to jazz up your summer footware, Kim! cute flip flops for 1.99 undressed. Where did you find those? I’m in Southern California and I practically live in my flip flops year ’round! I’d be too scared to try this on my Havaianas so I’ll have run over to our WalMart 🙂 Thank you for lead and the cute idea! I love these! I wear flip flops from the last snow of one winter until the first snow of the next. I have some leftover Mod Melts; I think I’m going to get some E6000! 😉 Thanks for a great idea! You sound just like me! Flip flops right up until snow! 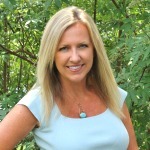 Thanks for visiting Tara! These are so cute Kim!! Love the two different style you can up with. Both equally fab 😉 What a fun way to zing up some ho-hum flops. They were so fun to make and EASY-Peasy! Thanks Shannon! 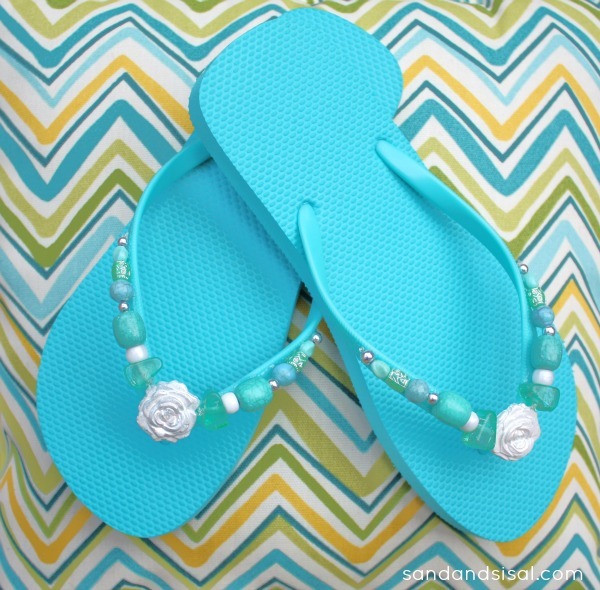 Super cute flip flops and beautiful new blog design, friend! Love this! Where do you find these mold?